Just last month, the poor masses (i.e. millennials) rejoiced when Whole Foods announced it'd be opening cheaper stores. But now comes news that's not really news: Whole Foods has been overcharging customers all along. This time, though it's official. 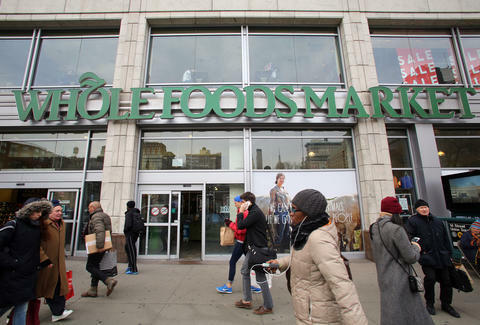 New York's Department of Consumer Affairs (DCA) issued a press release Wednesday detailing "systemic overcharging of pre-packaged foods" at all the city's Whole Foods locations. Which is to say, you're not just overpaying when you splurge for herbs de Provence or a jar of $10 artisanal pickles. The investigation tested meats, dairy products, and baked goods at Whole Foods stores around the city, but focused on "packages that had been labeled with exactly the same weight when it would be practically impossible for all of the packages to weigh the same amount," such as nuts, berries, vegetables, and seafood. Basically, all the stuff you love at Whole Foods. The numbers look bad, too. DCA tested 80 different packages, and 89% failed to to meet federal standards. The most egregious overcharge billed $14.84 (!!!) extra for a package of coconut shrimp. TL;DR: don't eat coconut shrimp. Unless you're Donald Trump. The investigation focused on the eight Whole Foods locations open in fall 2014, with inspectors following up in the winter. It appears Whole Foods will have a hefty bill on its hands, as first violations cost a store $950, while subsequent violations cost $1,700. But it's not just a recent thing. According to a Freedom of Information Act request received by the New York Daily News, the city's Whole Foods stores have received more than 800 violations since 2010, amounting to upwards of $58,000 in fines. Additionally, the chain had to pay $800,000 in fines in 2012 for similar violations in its California stores. Here's to hoping the chain fixes the problem and earns a better derisive nickname: Half Paycheck. Ryan Craggs is Thrillist's Senior News Editor. He's partial to Whole Foods' caramel cookies, kim chi, and cheese varieties. But not so much his final bill. Follow him @ryanrcraggs.